Two important Channel Island charities that support premature and sick babies have received a boost from employees at JT. Over 2016, employees have raised £25,410.98 for Friends of SCBU, and the Priaulx Premature Baby Foundation in Guernsey. JT also has offices in London, Melbourne and Boston and the money will also support baby-related charities in these cities. 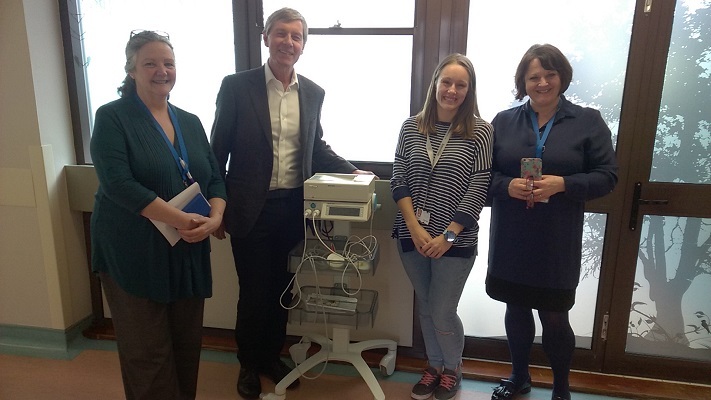 In Jersey, the money has been used to buy two state-of-the-art portable heart monitors to be used in antenatal to monitor the fetal heart rate. Also in Guernsey, the money is being used to equip The Burrow – the PPBF’s new property in Southampton, which will be used by families with children being cared for at the nearby hospital. The PPBF was founded by three times World Touring Car Championship champion Andy Priaulx and his wife Jo, Andy said: “Thanks to an incredible amount of fundraising and genorisity, we have been able to purchase The Burrow but we still need to fundraise for furnishings, decoration, equipment and general maintenance in order for it to open its doors in the summer, as planned. So, JT’s fantastic contribution will help make this a reality. Taking part in the Jersey It’s a Knockout Challenge. Holding a Christmas staff raffle. Having a Staff Charity Day, complete with cake sales, barbecues and sponsored silences. Swapping gifts usually given at corporate Christmas events for donations. Is this the reverse advent calender? Why not say it? Also, customers donating money in JT’s stores and sponsored events, such as Jersey Live and Guernsey’s Join Together Day.